I’m not sure exactly where I am going to go with this post, but I have a lot that’s been on my heart for the past few months or so. I don’t know if god is putting this on my heart for my own eyes to read or someone else’s, but either way I need to get it out. Loss & grief are some of the hardest things we face in our lifetime here on earth and during this time of the year it can really start to weigh down on us. The cheer and the giving, family, friends, and laughter all starts to surround you. And you start to feel sort of, out of place. Because deep down you are hurting. This time of the year always gets a little bit harder for me not just financially, but mentally too. I’m not exactly sure why. But for some reason, I have always had a hard time making any lasting friendships in my life. I hate to admit it, but it’s just the truth. Part of accepting that truth is accepting parts of myself that others may not. Its not easy feeling like you are all alone. Finding yourself and figuring out what it is in this world that makes your heart keep beating takes a LOT of courage and strength. It’s one of those things that sounds way easier when you talk about it than when you actually go and put action into it. 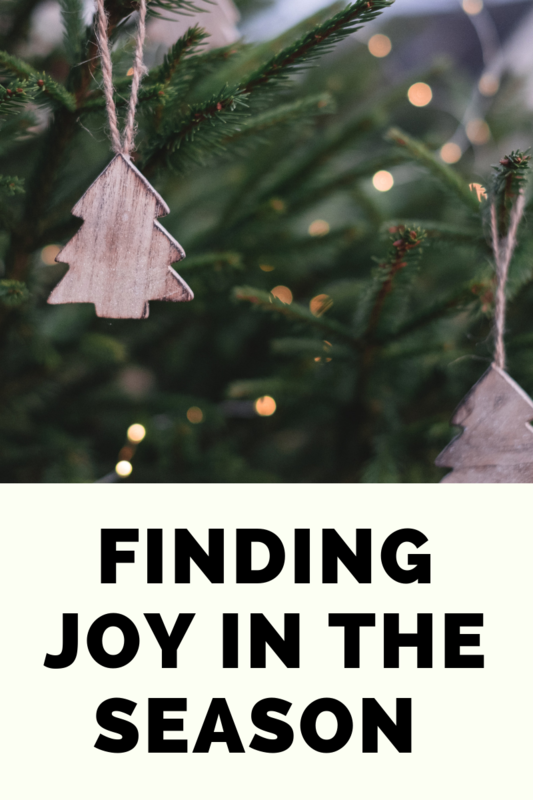 You may experience great joy in the journey, But for others and for me there is and will be a ton of loss, grief, and moments of loneliness in the process. The hard part being that this time of the year leaves us feeling a little more empty than the rest. Its taken me until recently to accept that it’s OK to not be understood and that it’s ok be alone sometimes. In fact, I personally feel like we get put in situations like these to test our faith and the promises that god has fulfilled for us and to figure out who we truly are and what we really want. Because life isn’t always going to be easy for any of us and we need to accept that. We all go through hard times, we all just go through them differently. There is a lesson and something to be learned in all of them because they are shaping us into who we’re meant to be. We have to have trust. Even when we cannot see the light. The holiday season is the hardest for so many of us. The pressure we have as parents to maintain a “materialistic” Christmas and to keep up with what Santa is getting all of the other kids at school. Its in-explainable how overwhelming it gets among many other things. Truth is, were all looking forward to the new year and we get over Christmas by the time that Christmas is even here. We begin to lose sight of what really matters and why we even celebrate this time of the year in the first place. No matter how many times I “threaten” my kids with the absolute fullest intention that they aren’t going to get a big Christmas, it never stops how much I stress myself out trying to make it happen. In the mix of it all it stresses out everyone else that’s around me. THEN, by the time it’s all over and done with i become laser focused on getting caught back up and searching for the “next best thing”. The end of the year was meant to be full of joy, but truth is that it’s at this time when we become absolutely depleted in all aspects. At least I’ll admit, I do. When your going through anything in your personal life and whether or not people see it or not, this time of the year is sometimes the worst. We celebrate holidays for one thing. Joy. Can’t we all admit that? At least that’s how it’s supposed to be. We give gifts to others because of joy, and stress for what? For joy. But stress and joy cannot go hand in hand with each other. I know that for a fact. The real joy of Christmas gets kicked to the curb some times; if not every year. Making the outside noise way louder than what god is speaking to us all. All god wants is for us to be happy, and to be happy we need to be filled with joy. To have that joy, we need to have faith. To have faith means to let go of stress and trust that whatever is planned for us regardless of current circumstances, will be amazing. No matter what it is we are going through right now it could most definitely be worse. Rejoice in the hope of Jesus and his love surrounding you. Including the truth that he’s got all of your loved ones covered, too. Which is ultimately the best gift. We have a loving father in heaven who is with us in every decision we make and every prayer we pray. This holiday is to celebrate nothing else but the JOY that he has given us. Not the joy we think we need. In the materialistic things, our past, the crappy one sided relationships that we focus way too hard on, or the glitz and glamour that we don’t have. Because truthfully NONE of that brings true joy. Joy is so much more than that. Happiness can be found in the little things. and I feel like that’s something that we all need to be reminded of during this time of the year. Especially when JOY itself can be so overlooked. Something I have had to remind myself over the years is that giving doesn’t always have to be bought. Giving this world the best version of yourself and who god wants you to be is one of the best gifts you can give yourself. And your loved ones. Be a good friend like Jesus was, be a giver of love and compassion like Jesus did. Have a servants heart by giving without any expectations like he would. Love your neighbor and look for and BE light in this ever so often dark world. **But please for the LOVE of God, friend, do not lose yourself and what you believe. Remember that you can say no, and still be a good person. Trust that his promises will be fulfilled. These are all free gifts that are full of joy and that have the power to turn someone’s life around. Maybe even your own. You don’t need to have the best of the best, you just need to do your best. Jesus is the JOY, and the reason for the season. Where do you find your joy during the hard times? Is this time of the year the hardest for you too? Do you have faith in what lies ahead or are you stuck in doubt and disappointment? Share your thoughts with me, I love to hear them.